Many people think that the state of California is a leader in a lot of ways. In the California city of Bridgeport, the Shell station is charging $4.09 a gallon for regular gas. Is this a prediction of what will happen in the rest of California and the rest of the United States? What a great gift for a great child. A Harry Potter Book handwritten by JK Rowling, who has also done the illustrations. It is called, The Tales Of Beedle The Bard, and will be sold at a charity auction for The Children’s Voice campaign. The starting bid is $100,000. Thanks to Ana Dane, at The Good Life Blog Watch, for finding this. The top five houses for sale are all listed for over $100 million each. The Wall Street journal did an article on how listing agents of these homes are going about finding buyers for these properties. The top five properties are listed below with additional information from Zillow.com about the bedrooms, bathrooms, and square footage. 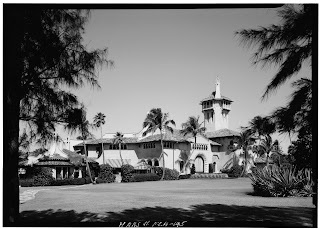 Picture shown is the Mar-A-Lago, and is not one of the houses listed above. The second most expensive diamond was auctioned off by Sotheby's for slightly over $16 million. It was an 84.37 carat white diamond. A luxury Maybach limousine was stolen while the owner was in a Moscow restaurant having dinner. The value of the limo is estimated at $773,000. The owner of the largest private company in India, Reliance Industries Ltd, Mukesh Ambani, Who is the richest man in India, has just bought his wife a $60 million birthday present. He presented her with a luxury Airbus jet with a sky bar, showers, office, master bedroom, music systems, and satellite television. Guinness World Record Day: $16,300 Haircut, Mercedes-Benz Museum Record, and more! In case you missed it, yesterday, November 8, 2007, was the Guinness World Records Day. Several world records were made including a $16,300 Haircut at Stuart Phillips Hair Salon in Covent Garden, London, England. Included in the package is a Champagne lunch, a head and scalp massage, hair products, and a limo ride. Another interesting record that was set was the 'Tallest Artificial Air Vortex' at The Mercedes-Benz Museum in Stuttgart. Several other records were set including the Fastest Car powered by Dry Cell Batteries. Anyone have a sweet tooth? The New York City restaurant, Serendipity 3, has produced the 'Frrozen Haute Chocolate', which includes 28 different cocoas and 0.2 ounces of edible 23-karat gold. At the base of the gold goblet is an 18 karat gold bracelet with a carat of white diamonds. It is now a Guinness world record for the most expensive dessert. If your are looking for that special vacation home or corporate retreat, away from it all, away from people, away from traffic, away from everything, why not buy yourself a lighthouse. The U. S. Government is selling off dozens of these lighthouses, with prices starting at $10,000. It it like having your own island with a house on it, and possibly lots of historical significance. 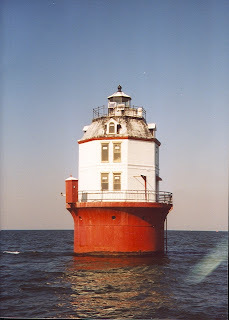 An example of an auction of a light house can be found at the General Services Administration Real Property Disposal Division website. The Luxury Institute, which is based in New York, just came out with its ratings of handbags by high net worth women, and the top ranking handbag was the jewel covered Leiber. In second place was Hermes, and the third highest was Prada. If you are looking for a book as a gift for a bibliophile, how about a book called Dancing With The Bear. 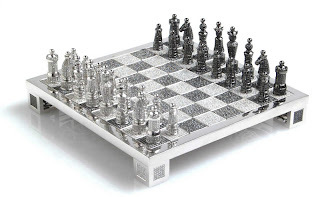 This special edition is a diamond encrusted book (600 diamonds) by Roger Shashoua, a British businessman who made a huge amount of money in Russia. The price of the book is only $6,245,100. However, if the price is a bit rich for you, you can always order the regular edition of Dancing with the Bear: A Serial Entrepreneur Goes East from Amazon for only $30. If you are looking for that special gift for a special someone, how about buying them their own town. A town in Texas is up for sale on eBay, with a minimum bid of $2.5 million. The town is called Albert and is located near San Antonio. It includes a dance hall, general store and a house. The population is zero. The world's oldest Rolls Royce automobile will be auctioned off by Bonhams on December 2. The car was built in 1904. It is expected to sell for over $4 million.